If your looking to relocate, expand, or start up your business, Louisiana has very generous state tax credits and incentive programs for job-creating companies can give you a competitive edge. Louisiana’s tax credits and incentive programs can give your business a competitive edge with one or more of the many programs Louisiana has to offer. Property Tax Abatement for up to 10 years on a manufacturer’s new Investment and Annual Capitalized Additions. Either a $3,500 or $1,000 tax credit for each certified net, new job created and either a state sales/use tax rebate on capital expenses or 1.5 percent investment tax credit for qualifying expenses. Up to a 6 percent rebate on annual payroll expenses for up to 10 years and either a state sales/use tax rebate on capital expenses or a 1.5 percent project facility expense rebate for qualifying expenses. The nation’s No. 1 workforce training program, FastStart creates customized employee recruiting, screening and training solutions — at no cost to eligible companies. 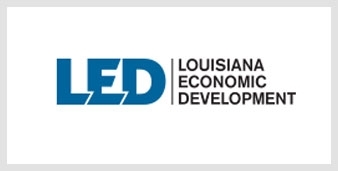 Learn more about these and other potential tax credits and incentives available to companies locating in Louisiana at http://opportunitylouisiana.com/index/incentives.